What a GREAT photo, Bec …. !! ditto. looks like those girls/boys have moved right in. 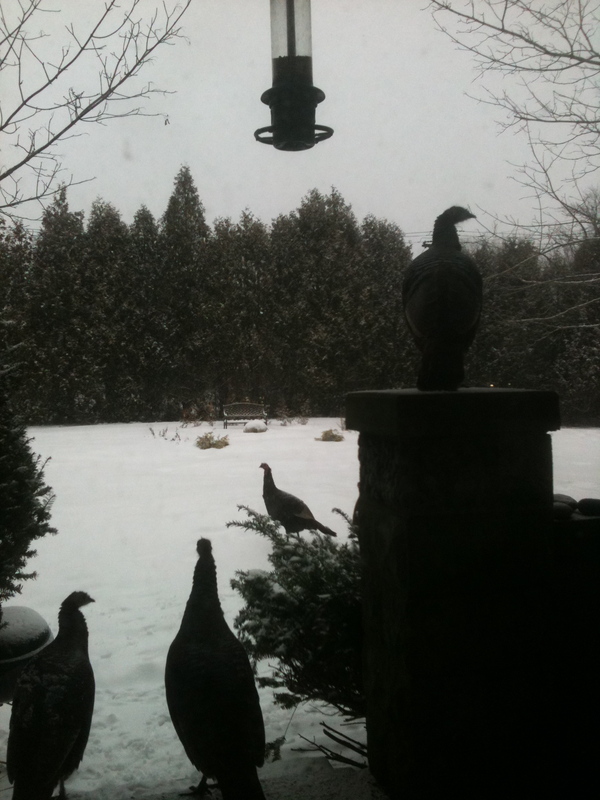 they know a good home when they gobble it…. You have become a regular “fly in ” for turkeys.. Very nice! I so look forward to your inspirational posts.